The weather was absolutely GORGEOUS last week and the days called for simplicity in a flowy off-white tank and oversized boyfriend jeans (same fit on this Levi's pair, the trick is in the thickness of the denim). It's quite a routine combo but there's a reason why pairing your favorite jeans with a simple white top remains intuitive. With the tweak of a cut or with additional small details, the age old combo appears entirely new. Add on some sharp looking boots and a trusty beanie and there goes a fool-proof outfit for warm LA days. Sweet ! I love those jeans and boots!! awesome look ! I love the jeans and boots. You can seriously pull off anything. So friggin pretty! 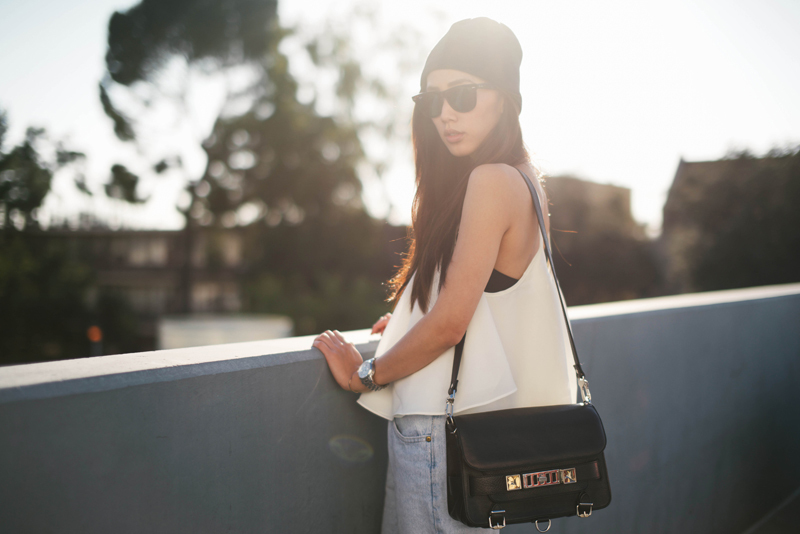 This is one of our favorite looks we have seen on your blog so far! Amazing. 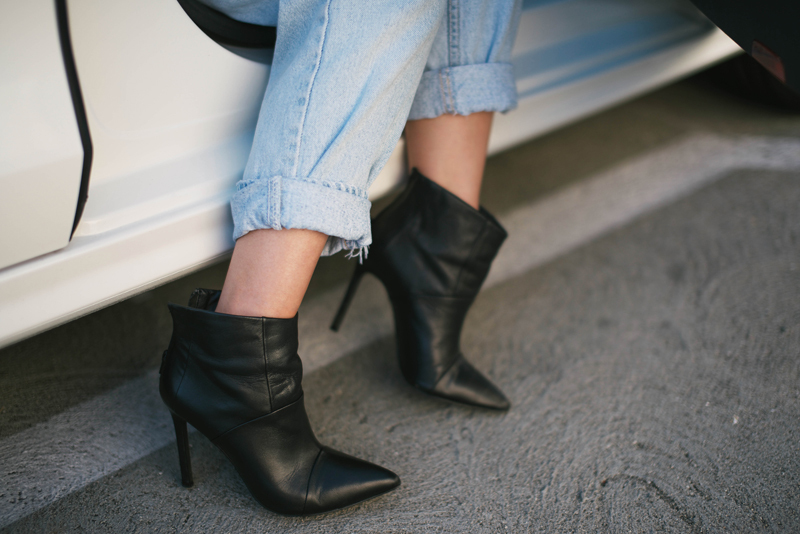 Love the denim, blouse, and the booties! this comfy and casual style i love the most on you ! just stunning, love the lighting in the pictures. No one can do a beanie like you :) btw, got the dress. Thanks! I love how simple but great it looks. Can't wait to wear only a top! This is seriously hard to pull off but it looks amazing on you! So cool. Love the first photo, awesome!! You make me want to invest in some beanies---although I know from experience that they make my head look odd. I love those boyfriend jeans; they have the perfect slouch to them! That outfit is perfect! Ahh I need it in my wardrobe! i love that white blouse, something about perfectly simple pieces like that is the best! HOTTTTT. love this so much! Love the pictures, the setting and the light ! Such a fantastic look! I love those boyfriend jeans - they seem to really be making a comeback in the fashion realm these days. Vintage Sale $10 & Under!